The Sacred Plants of Peru the"Holy Grail"
It is difficult for the rational Western-mind to grasp something as implausible sounding as a plant-teacher, and understandably so. Nonetheless, the sacred plants of Peru, Ayahuasca and Huachuma, are imbued with living spirits that have played a special role for humanity. They are divine gifts to keep humanity in balance and harmony with nature and spirit. They can also restore that balance and harmony—and one’s connection to spirit—if it has been lost. 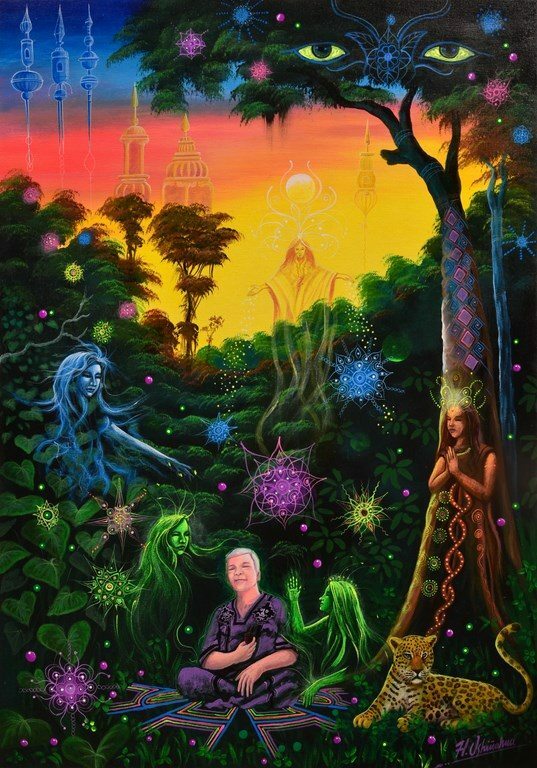 Those fortunate enough to have worked with the sacred plant-teachers, Ayahuasca and Huachuma, appreciate it’s like discovering the proverbial “Fast Track” of spiritual transformation. They are an unparalleled means to develop one’s self at the level of consciousness—to achieve communion and alignment with the divine. That said, this ancient shamanic path is not the easy track, and it is not for everyone. It takes courage to engage work with these sacred plants and a willingness to surrender to the process. In Peruvian shamanic circles, the sacred plant-teachers Ayahuasca and Huachuma are known to call those with whom they wish to work. Being “called” to work with these divine agents of transformation is akin to receiving a spiritual invitation. With regard to The Dawn of Eden Project, it is also possible you could be called by one or more of the Egyptian deities who support this spiritual initiative for the advancement of human consciousness. You will know if you’ve been called. You will have an inexplicable “knowing” it is something you need to do. Many websites are devoted to the biochemistry of these plants so that won’t be covered here. Rather, you will find an overview of the nature of these plant-teachers and the role they play in Dawn of Eden’s transformational work. Ayahuasca: What is it? ● Ayahuasca Purge: What is it? ● San Pedro (Huachuma): What is it? Next: Ayahuasca: What is it?